From the rear side cover: Planned in the 1850s to provide a clean and tranquil rural setting just outside the overcrowded city of Chester, the private residential estate of Upton Park was largely completed by the early 1900s and has retained a unique charm and sense of community. Now a Conservation Area, it is rich in history with a Proprietors' Association Minute Book dating from 1899. 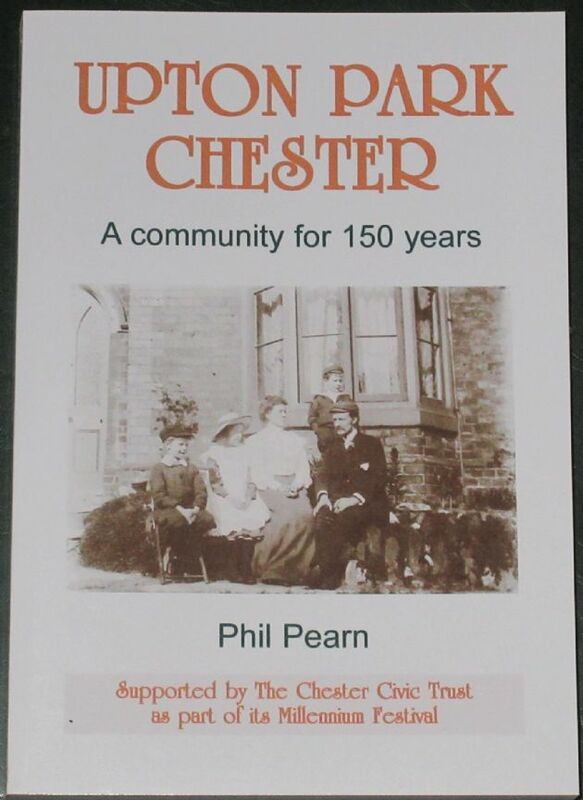 As the new millennium approached, resident Phil Peam started a web­site to collect together the relevant census and survey information along with the Association's records, privately held property indentures and - most importantly - the memories and snapshots of current and past residents. After two years of the website, all the houses had been recorded and a vast network of past residents had been built up. As the Park entered the new millennium it was thought that a fitting celebration would be to publish a book based on all this research, which should lead to fur­ther records being unearthed for the on-going website. The author says: "When I started I had plenty of folklore passed down through the generations. Piecing together the jigsaw of recorded facts and stories allowed me to separate the mythology from the history. The result will surprise and enlighten even those who have lived in the Park for many years." The book is about the evolving place that is Upton Park, the people who have lived there and the factors that have combined to create such a special community. It makes fascinating reading for those who know the Park but also provides rich insights for anyone interested in social history. Condition of the book is generally excellent. The covers are clean and bright, the spine is intact and all pages are clean, intact, unblemished and tightly bound.